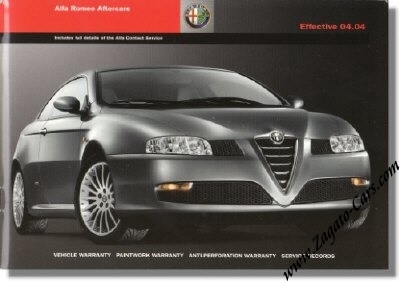 2004 Alfa Romeo Aftercare manual. This manual, issued in 2005, covers all aspects of after care for the 2004 Alfa Romeo range; from servicing, accident management service, approved bodyshops to pan-european warranty. It measures some 8 x 5.5 inches or 21 x 14.5 cm and counts 65 pages.